Harmonic Pharma is proud to announce a close collaboration with Novacap, a global player of pharmaceutical synthesis in Europe, Asia and America ! Find all the details of this partnership in the polypharmacology field in this release. Our chief scientific officer, Arnaud Sinan Karaboga, will give a presentation at the 14th Meet & Match event November 27 in Strasbourg. 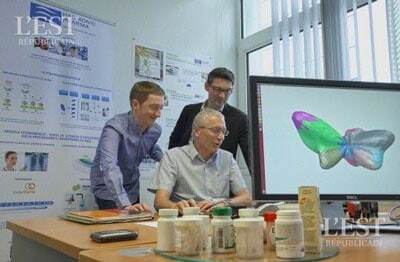 The topic of the day is « Strategies for drug discovery: Simulation – Screening – Repurposing » so be sure to be there ! Harmonica Pharma will also attend the 6th edition of BioFIT, the leading partnering event in Europe for technology transfer the 28th and 29th November. Harmonic Pharma organizes on Thursday, March 23, 2017, a national day of scientific and technological information on drug pharmacological rediscovery© applied to oncology with key partners in order to provide patients equitable access to innovation. 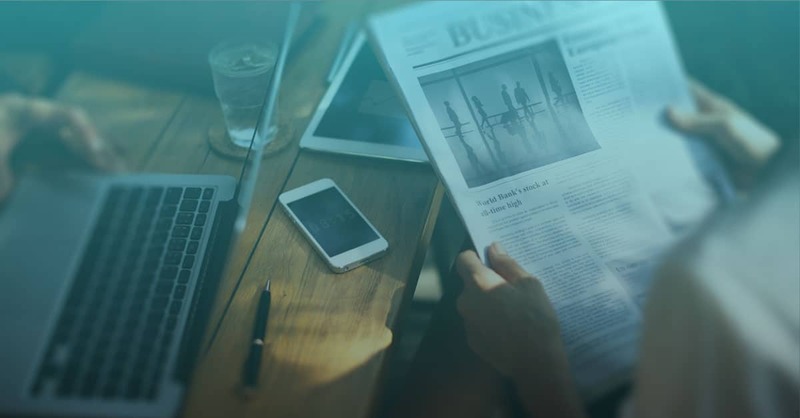 With the support of academic and institutional partners, the initiative mobilizes representatives of health professionals, regulatory authorities, health authorities, charitable, associative and industrial players. 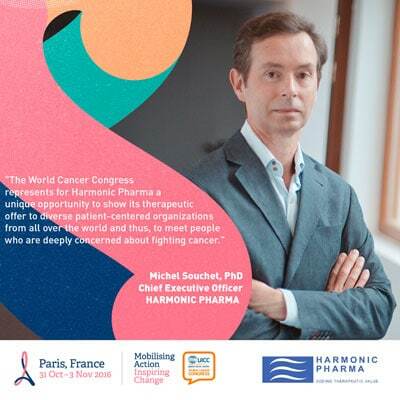 Harmonic Pharma will be part of the 2016 World Cancer Congress in Paris ! You are welcome to visit us at booth #23 of the global village. Harmonic Pharma makes the front page of “L’Est Républicain” journal today! Harmonic Pharma will be present on the LORIA laboratory stand in “Cité Santé”: the first E-health exhibition in Nancy which aims to create new synergies. Healthcare professionals, ICT companies, start-ups, pharmaceutical laboratories, institutions and general public are invited in Nancy on Friday, 1st and Saturday, April 2nd to meet and test innovations in health. The objective : ”breaking barriers between actors of the E-health“, explained Isabelle Margo, founder of the event. 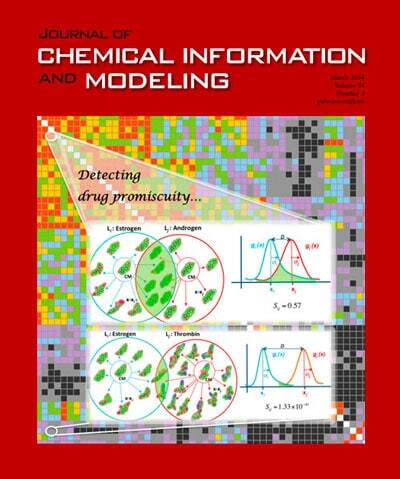 This article has been selected for making the front cover illustration of the March 2014 issue of Journal of Chemical Information and Modeling. Harmonic Pharma has been working on an innovative approach focused on therapeutic valorisation of natural compounds deriving from wood, in a circular economy context. The project named Le Bois Santé (LBS) deals with a natural source of molecules which is part of a starting raw material (parts of wood) used in an industrial process and considered as waste until the beginning of the project. Harmonic Pharma, Villers les Nancy, France Institut Curie, Paris, France Business: Cancer Harmonic partnered with Curie-Cancer, part of Institut Curie, to develop molecules in the biotech’s pipeline to treat breast, lung and eye cancers. Harmonic will receive access to mouse cancer models from the institute for screening its compouds against an undisclosed cellular membrane receptor target.